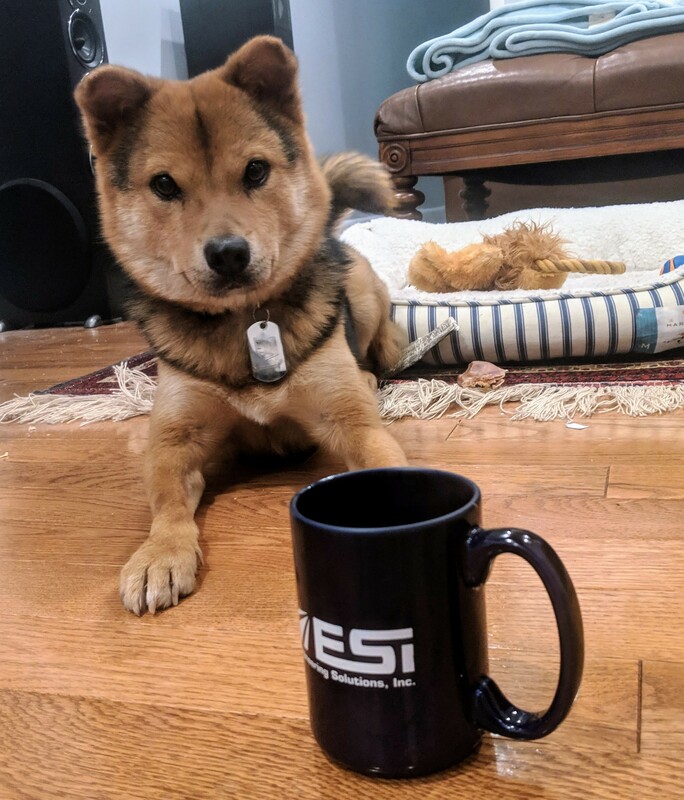 March 2019 – Engineering Solutions, Inc.
ESi Pet Adoption Benefit – Meet Zai! ESi’s new Recruiting Specialist, Lindsey DeLuca, took advantage of our pet adoption benefit that covers adoption fees up to $200! Lindsey adopted Zai, a Shiba Inu/Jindo mix, all the way from Korea through a program called “Hope for Donghae Paws” (HDP). We welcome Zai to America and the ESi family! Amy Steinberg on Employee Spotlight: Chris J.
Amy Steinberg on Employee Spotlight: Steve A.
Amy Steinberg on Employee Spotlight Lightning Round: Jim S.
Amy Steinberg on Employee Spotlight: Sue H.